Mammals. Hedgehogs snuffling round our gardens, hares zig-zagging across fields, bats fluttering overhead; often secretive, mammals are an important part of our natural world. Harvest Mouse, Hedgehog, Brown Hare, Mountain Hare, Otter, Water Vole and three bat species, all present in Barnsley, are national priority species. In this local Biodiversity Action Plan we have highlighted these as Local Priority Species and also included all bat species found locally. Other mammal species enrich our countryside and small mammals attract predators such as Barn Owl and Kestrel. Three Priority Species are nationally ‘red-listed’ as Vulnerable or Endangered. There are no other mammals found in Barnsley red-listed. Otter, Water Vole and all bat species are protected under Schedule 5 of the Countryside & Wildlife Act. 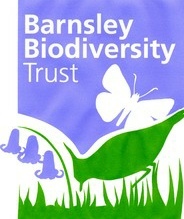 This makes 15 Barnsley Local Priority Mammal Species. Mammals are threatened by a number of sources. These include intensive farming and land management, a lack of traditional management, habitat loss, decline and fragmentation, lack of food sources, predation, competition, pollution and, for riparian mammals, water quality. Bat numbers in Barnsley have not returned to former levels. Harvest Mice may be benefiting from wetland conservation measures in the Dearne Valley and at Worsbrough. Brown Hare, with lower numbers on farmland, appears to have benefited from the greening of former pit stacks and the protection provided by the expansion of Dearne Valley nature reserves. The Peak District population of Mountain Hare is vulnerable because of its isolation. 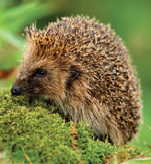 Hedgehog numbers have declined but it is widespread in Barnsley. There have been signs of the presence of Otter in the Dearne and Don locally but it has not established a regular presence yet. 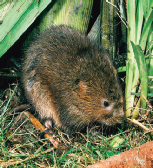 Water Vole in Barnsley is very localised and populations seem to have been lost from upland areas. Conservation. The conservation of priority mammal species depends a great deal on the habitat requirements of the individual species, their access to food, cover and shelter, and the threats that they face that include disease, predation and disturbance. Monitoring mammal species populations and distribution is important for informing conservation measures.